Mayflower Beach and Corporation Beach Fluffy Sand and Clear Water? Question: Mayflower Beach has the white fluffy type of sand. How about Corporation Beach? Is it "regular" sand, meaning a bit rougher and not white? How is the water? As clear as on Mayflower Beach? Dee's Reply: Hi Kerstin - Wow! What an interesting question!! So I guess what I'd say is: I've never noticed any difference in the sand quality or water clarity at Mayflower Beach and Corporation Beach. Both are what I'd call "soft sand, nice water" beaches. Might there be a little variation? Maybe. But not so much that I've ever noticed it. 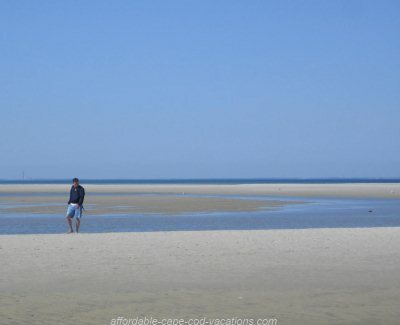 IMHO, that entire stretch of beaches on the Cape Cod Bay side of the town of Dennis, from Chapin Beach, to Mayflower, to Corporation, to Cold Storage - they're all fantastic. Of the whole bunch, Chapin is actually my favorite. (It's right next-door to Mayflower to the west.) But that's just my personal preference. I like beaches that feel remote. And Chapin Beach gives me that vibe. Wildlife sightings, warm tidepools to soak in, off-roading on the beach (only with a permit, of course!! ), gorgeous views, etc. The long and short of it is, if you like Mayflower, I'm sure you'll like Corporation, too. And you might fall in love with Chapin! The next time you're on Cape Cod, do a bit of exploring. See which beaches you like best. If you're here in-season, go during the evening. Sunsets are spectacular along this part of Cape Cod Bay, and there's rarely a problem with parking after about 5:30 p.m.
Or better still, come to the Cape off-season. That's the perfect time to check out lots and lots of different beaches. No traffic, no beach parking stickers or fees required, and super deals on lodging. Lastly, have you ever been to any of our Ocean or Sound beaches? If not, I'd heartily encourage you to try a few, just to get a sense of the differences between our Ocean, Bay and Sound beaches. 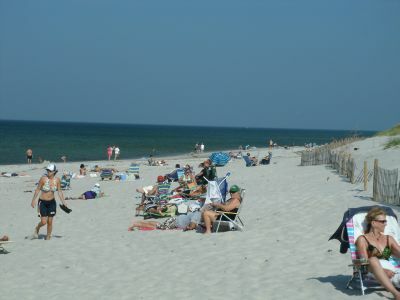 Check out Seagull Beach on Nantucket Sound in South Yarmouth. The approach road to Seagull (Seagull Beach Road - imagine that! 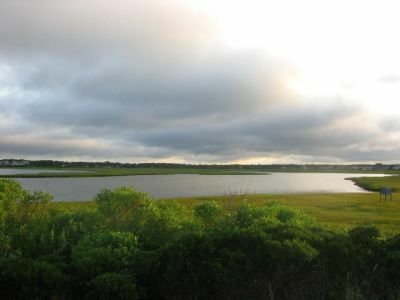 ), winds past beautiful marshlands that're great for wildlife spotting. And the beach itself is long and broad with really pretty views of the Sound. 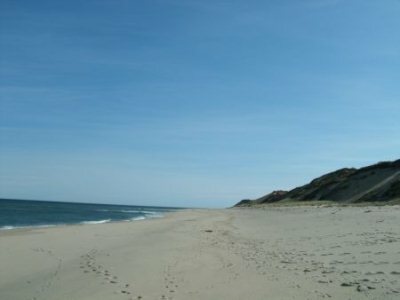 Then head out to the Atlantic Ocean beaches on the Outer Cape. This is where you'll find some of the most glorious beaches, and the most breathtaking scenery, in the world! So ... with all that said, I realize I've gone waaaay beyond answering your original question. Sorry, but I couldn't help myself! As you can probably tell, I'm really passionate about encouraging vacationers to expand their horizons when it comes to our beaches! I hope this helps. If you have any other questions, please feel free to ask!